Alan Coppock is a 20-year veteran Healthcare and Hospital Senior Leader, Author, Speaker, Board Member, Husband, Father to SEVEN, and Grandfather to TWO. He and his wife, Melody, have made Corbin, Kentucky their home since 1993. Coppock has helped to found three Kentucky Hospitals and led one successfully from its beginning in 2004 thru June 30, 2017 when he stepped away from his caregiving team to Found Adminologybay.com. He was a Founder/President and Chief Executive Officer of ContinueCare Hospital at Baptist Health Corbin. Alan is a member of board of directors at Kentucky Hospital Association and he was a chair of KHA LTACH forum, in his role as chairman, he coordinated meetings of all LTACH CEOs in Kentucky and advocate for best practices, clinical quality initiatives as well as LTACH public policy. Coppock’s vision for supporting healthcare providers and leaders prompted him to launch two online membership communities: As a healthcare consultant from this new platform, he is tackling significant challenges facing Healthcare in America, particularly rural hospitals. Providerbay is the online home for physicians and other licensed healthcare providers. Execubay is the online home for healthcare senior leaders and those preparing for senior roles. He is committed to supporting healthcare organizations, providers and leaders and challenging them to deliver VALUE to the communities they serve. 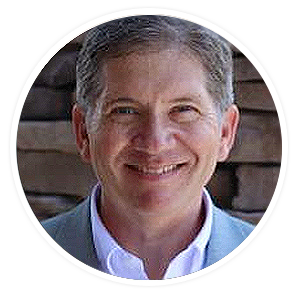 Alan is a Fellow of the American College of Healthcare Executives (FACHE) and has attained Masters Degrees in Business Administration and Educational Leadership. Alan will play an invaluable role in assisting T-Medicus expand hospital operations as a Senior Advisor.